Alternately hilarious and horrifying, and the rare instance of a musical thriller, Stephen Sondheim and Hugh Wheeler’s chilling, suspenseful, heart-pounding masterpiece of dark humor, murderous “barber”-ism and culinary crime tells the infamous tale of the unjustly exiled barber who returns to 19th century London seeking revenge against the lecherous judge who framed him. Sweeney Todd opened on Broadway at the Uris Theatre on March 1, 1979 and ran for 557 performances. It was directed by Harold Prince with musical staging by Larry Fuller. It starred Len Cariou as Sweeney Todd and Angela Lansbury as Mrs. Lovett. The musical tells the story of Benjamin Barker, alias Sweeney Todd, who returns to London after 15 years' transportation on false charges. When he learns from his former landlady Mrs. Lovett that his wife poisoned herself after being raped by the judge who wrongly transported him (Judge Turpin by name), he vows revenge. The company—citizens of London—assembles to perform a no-frills burial, dumping a body in a sack into a shallow grave. 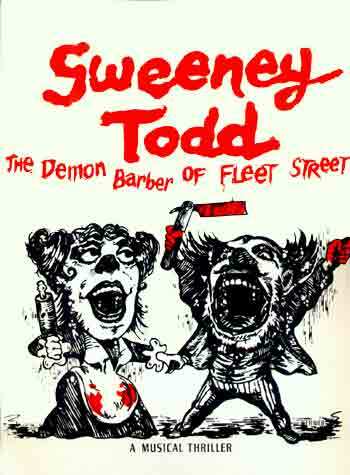 The company sings "The Ballad of Sweeney Todd", introducing the tale of the "Demon Barber of Fleet Street". They continue to appear throughout the show to comment on the action. Sweeney Todd rises from the grave as if called forth. In 1846, a young sailor named Anthony Hope rides a ship into London. Despite Hope's enthusiasm, his friend and shipmate Sweeney Todd is grim and uneasy. 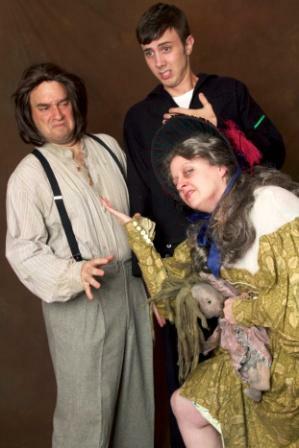 This mood is worsened by a half-mad Beggar Woman who begs from (then sexually solicits) both Anthony and Todd. She appears to recognize Todd, who runs her off. ("No Place Like London"). 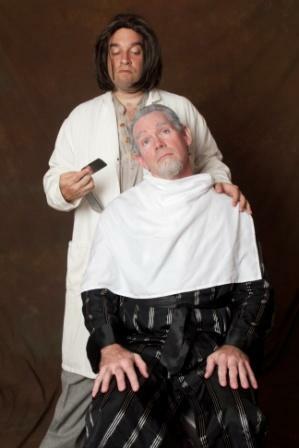 As they prepare to part, Todd tells Anthony a tragic story about a young and naïve barber, his beautiful wife, and the lustful judge who exiled him to covet her ("The Barber and His Wife"). Todd goes to a meat pie shop on Fleet Street, where he encounters the shop's proprietress, Mrs. Nellie Lovett. She complains about her competition, her own pitiful pies, and the difficult economic times ("Worst Pies in London"). When Todd asks about the upstairs apartment, she tells him the sad tale of the previous tenant, a barber named Benjamin Barker. Barker had been falsely sentenced by the lecherous Judge Turpin and his corrupt cohort Beadle Bamford because of the Judge's lust for Barker's wife Lucy. She reveals how, once Barker had been sent to Australia, the Judge had lured Lucy to his house and raped her ("Poor Thing"). Todd cries out in agony, confirming Mrs. Lovett's suspicions that he is Benjamin Barker, back from Australia. She tells him that his wife poisoned herself and that his infant daughter, Johanna, became a ward of the Judge. Todd swears revenge on the Judge who ruined his life. Mrs. Lovett is more concerned with how Todd will make a living, and shows Todd his collection of sterling silver razors, which she has kept hidden for years, telling him that he can become a barber again ("My Friends" and "The Ballad of Sweeney Todd: Lift Your Razor High, Sweeney!"). Anthony, walking through Kearny's Lane, notices a girl singing at a window admiring a bird seller's wares ("Green Finch and Linnet Bird"). The passing Beggar Woman (who again offers herself to him) tells Anthony that the girl is Johanna, Judge Turpin's ward. Anthony is immediately smitten ("Ah, Miss") and pledges to woo her, but the Judge and the Beadle threaten him off. He swears to rescue her ("Johanna"). Meanwhile, in the crowded marketplace, renowned "Italian" barber Adolfo Pirelli and his simple-minded assistant Tobias Ragg pitch a cure-all for hair loss ("Pirelli's Miracle Elixir"). Todd, after exposing the elixir as fraudulent, challenges Pirelli to a shaving and tooth-pulling competition, and invites the Beadle to act as the judge of the competition. Pirelli puts on a grand show, but Todd wins easily ("The Contest"). 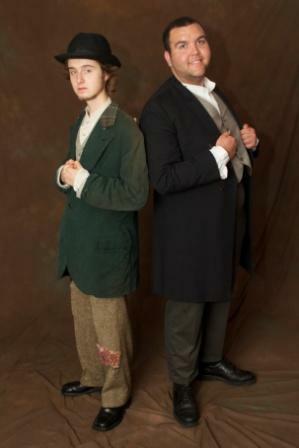 Todd invites the Beadle to visit his parlor for a complimentary shave ("The Ballad of Sweeney Todd: Sweeney Pondered and Sweeney Planned"). Several days later, as Todd impatiently waits for the Beadle's arrival, Mrs. Lovett urges patience ("Wait"), when Anthony bursts into the shop. He tells Todd of his sudden romance with Johanna and requests to bring the girl to the barber shop. No sooner has he left than Pirelli and Tobias visit the shop. Mrs. Lovett takes Toby downstairs for a meat pie, leaving Todd alone with Pirelli. Pirelli drops his Italian accent to reveal an Irish one and reveals his real name is Danny O'Higgins, who served as assistant to Benjamin Barker in his barber shop fifteen years ago. O'Higgins has recognized Todd and attempts to blackmail him. Rather than pay O'Higgins off, Todd attacks him and strangles him, dumping his body into an empty trunk just before Tobias enters looking for his master, saying that he has an appointment with a tailor. Todd sends Tobias back down to Mrs. Lovett, tempting him with the offer of another pie and "a nice big tot of gin." Once the door has shut behind Tobias, Todd opens the trunk and finally finishes off his former assistant by slitting his throat. ("The Ballad of Sweeney Todd: His Hands Were Quick, His Fingers Strong..."). Across town, Judge Turpin is tormented by his lust for his ward Johanna and announces to her that he intends to marry her ("Johanna"). Disgusted by the prospect, Johanna and Anthony plan to elope ("Kiss Me"). 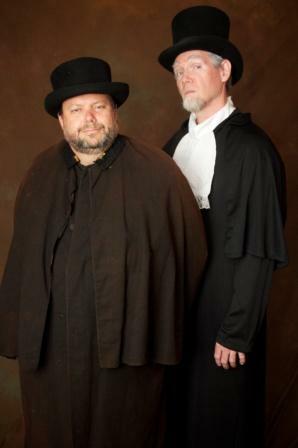 At the same time, the Beadle, accompanying his master after court (during which the Judge had sentenced a juvenile offender to death for petty crimes), suggests that the Judge visit Todd's barbershop to improve his appearance to better win Johanna's affections ("Ladies in Their Sensitivities"). Turpin agrees and they set off. Back at Todd's shop, despite her initial shock at O'Higgins' murder the ever-practical Mrs. Lovett extracts O'Higgins' gaudy coin purse from his corpse when the Judge arrives. Mrs. Lovett returns downstairs to keep Tobias distracted while an eager Todd bides his time and slowly proceeds to exact his revenge, lulling the Judge into a sense of security ("Pretty Women"). Before he can kill Turpin, however, Anthony barges in to tell Todd about his and Johanna's plans, accidentally informing the outraged Judge. He accuses Todd for conspiring against him before storming out of his parlor, vowing never to return. Todd, in his fury, drives Anthony away before descending into utter madness and broadens the target of his vengeance to all of society by punishing the rich, greedy and corrupt and relieving the poor of their misery by death ("Epiphany"). Mrs. Lovett is, however, more realistic and during a discussion with Todd about how to dispose of O'Higgins' body has a sudden burst of inspiration. She suggests they use the flesh of Todd's victims in her meat pies, an idea which Todd enthusiastically falls in love with ("A Little Priest"). 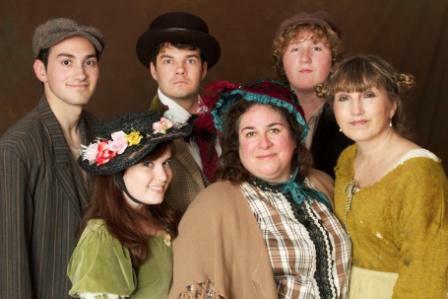 Mrs. Lovett's pie shop has become a thriving business with its new menu ("God, That's Good!"). The only fly in the ointment is the Beggar Woman, who keeps hanging around the pie shop, telling anyone who will listen that Mrs. Lovett is a witch and the devil's wife. Todd and Mrs. Lovett now have a specially-designed mechanized barber's chair that allows Todd to kill someone (preferably a customer who will never be missed) in the barber shop and send the body through a chute directly into the basement bakehouse of the pie shop for Mrs. Lovett to use in her baking. Anthony's fortunes are not so bright as Johanna has disappeared. Over the weeks he searches for her while Todd accustoms himself to the idea that he may never see Johanna again, spending his time methodically slashing throats. ("Johanna (Quartet)"). Later, Mrs. Lovett dreams of a future life with Todd, though he remains uninterested ("By The Sea"). Anthony discovers the Judge has committed Johanna to Fogg's Asylum for the mentally deranged and, with Todd's help, infiltrates the asylum, posing as a wigmaker intent on purchasing inmates' hair ("Wigmaker Sequence" and "The Ballad of Sweeney Todd: Sweeney Waited Too Long Before..."). Unknown to Anthony, Todd sends a letter to the judge notifying him of Anthony's intent to kidnap Johanna, hoping to lure the judge to his shop ("Letter" Quintet). Meanwhile, in the pie shop, Toby begins to suspect that Todd is up to no good and, unaware she is in on Todd's activities, expresses his desire to protect Mrs. Lovett, whom he has come to view as a mother figure ("Not While I'm Around"). When he recognizes Mrs. Lovett's purse as the one that had belonged to Pirelli, she locks him in the bakehouse under the pretext of teaching him how to make meat pies. As she leaves, she encounters Beadle Bamford sitting at her harmonium ("Parlor Songs"), commissioned by the neighbors to investigate the thick black smoke and strange smells from the pie shop's chimney. Together he and Mrs. Lovett wait for Todd, who arrives and offers the Beadle the promised free shave while Mrs. Lovett plays Sweet Polly Plunkett on her harmonium to cover the screams of the Beadle's demise. In the basement, Toby discovers a hair and a fingernail in a pie he's eating when the bloody corpse of the Beadle tumbles down the chute. Horrified, he tries to escape but realizes that he is locked in. 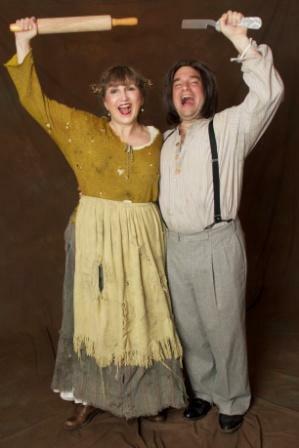 Upstairs, Mrs. Lovett informs Todd that Toby has figured them out; they head downstairs to dispose of him. While Todd and Mrs. Lovett search the cellars for Tobias, who at this point has vanished into the catacombs, Anthony infiltrates the asylum. When Johanna inadvertently reveals his true identity, she grabs his pistol and shoots Fogg dead. They both flee to Todd's parlor (Johanna is disguised in sailor's clothing) and the insane inmates pour out onto the streets ("City on Fire"). After Anthony leaves a disguised Johanna in Todd's barber shop to hire a coach to leave London, the Beggar Woman appears, and Johanna hides in the trunk that once held Pirelli's body. Todd discovers the Beggar Woman in his parlor as she desperately tries to warn him about Mrs. Lovett. As Judge Turpin arrives, Todd frantically slits the Beggar Woman's throat and sends her down the chute before Turpin can see her. When Todd assures him that Johanna is totally repentant, the Judge in lecherous expectation asks for a face massage. Once he has his victim in his chair, Todd reveals his identity to the Judge and slits his throat ("The Judge's Return"). As Todd is about to leave the parlor to find Tobias, Johanna emerges from her hiding place. Todd catches her, and, thinking this intruder is a man, prepares to kill her. Todd hears Mrs. Lovett screaming from the bakehouse below, providing a distraction for Johanna to escape. Todd races downstairs. 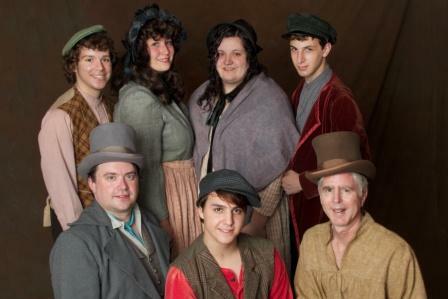 In the bakehouse, Mrs. Lovett struggles with the dying Judge before she realizes that Todd has killed the Beggar Woman. Todd bursts into the bakehouse and, seeing the face of the Beggar Woman clearly in the light from the open oven doors, drops his razor in horror upon the realization that the Beggar Woman is his wife Lucy, whom he thought to be dead. Todd furiously accuses Mrs. Lovett of deceiving him. Mrs. Lovett confesses the truth but insists that she never lied, maintaining that Lucy had indeed taken poison but instead became insane. 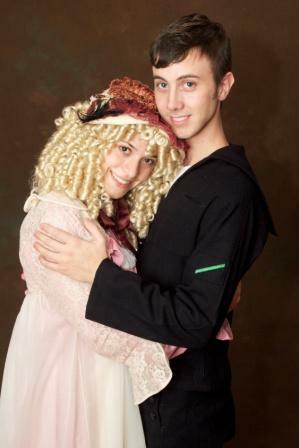 Mrs. Lovett tells Todd she withheld the whole truth from him in order to spare him because she loves him. Todd suddenly rises, calms the nervous Mrs. Lovett and tells her that he forgives her. He waltzes her over to the huge oven and hurls her inside, slamming the doors shut. Todd sinks to the floor and cradles his beloved wife in his arms. Toby, now driven completely insane and with his hair now white from the horror of the proceedings, enters and stumbles towards the barber. He picks up Todd's fallen razor as Todd unbuttons his collar. Toby then fatally slashes Todd's throat. As Anthony, Johanna, and some constables burst into the bakehouse, Toby drops the razor and, unmindful of the others, begins to turn the handle for the meat grinder in a mindless parody of his duties for Mrs. Lovett ("Final Sequence"). The company assembles one last time to sing "The Ballad of Sweeney Todd." As the resurrected ghosts of Todd and Mrs. Lovett rise from their graves, they conclude that the capability for revenge is within all of us. The company exits; Todd and Mrs. Lovett being the last. Todd pauses at the large iron door at the back of the stage to look at Mrs. Lovett one final time before slamming it in the audience's face.